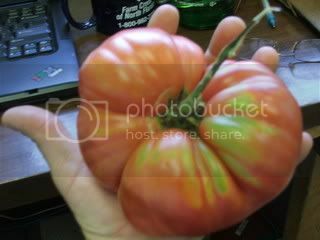 biggest tomato I have ever grown. ok so maybe this was a little over kill with the pictures and all.. but hey its awesome and i am hungry!!! 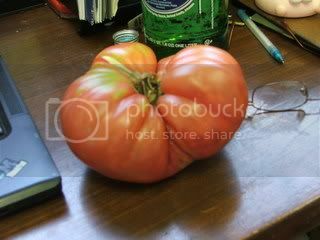 Wow, that is one Biiiiig tomato! What kind is it? I AM jealous! How did it taste? I'd love to know the variety too. 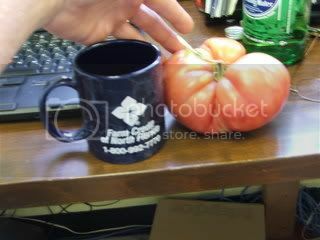 Are they supposed to be outsize tomatoes or regular sized ones? Hope you enjoyed it to the full!! 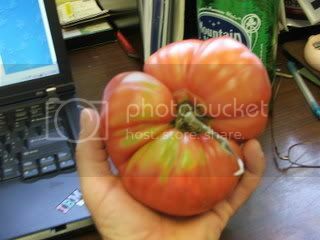 Is it possible called Parks Whopper tomato? We sell them at our place, they are awesome! Wow !!! what a tomato.Was it as tasty as you thought it would be?